Address: 172513 Tverskaya obl., Nelidovsky r-n., pos. Zapovedny. 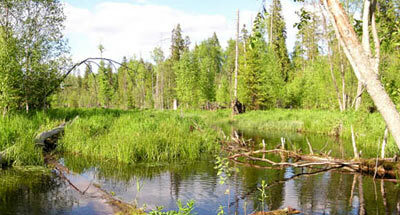 Zapovednik Tsentralno-Lesnoy is situated on the west of Tverskaya Region in the Nelidovsky and Andreapolsky Districts. The Zapovednik was to founded in 1931. Its area is 24,5 thousand ha. It is situated on the south-west of the Valday Highland. The relief is watershed valleys with forests and open bogs (220-270 m above the sea level). The hydro-network is immaurely developed; the rivers' beds are weakly cut in to the ground. The rivers Tudovka, Zhukopa and Tyudma join the Volga basin; and the river Mezha – the Zapadnays Dvina basin. 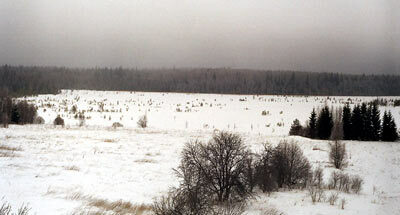 Plant cover is typical for southern taiga. Spruce forests prevail, with green-moss, bog moss and bog-grass (near streams). Spruce, green-moss, wood sorrel and bilberry forest is the most common. Different forms of spruce are distinguished, some of them being considered superior due to their biological and economic properties. 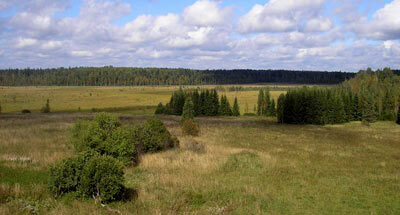 Pine forests are located on the borders of bogs. In the river mouths areas of black alder are met. In places of earlier felling, where there were fires or where trees have been blown down by the wind, derivative forests of birch and aspen are spread. High muskegs occupy 18% of the Zapovednik's territory: the greatest of them are Katin Mokh and Staroselsky Mokh. Species of European origin prevail among the fauna. Of ungulate animals elk is the most numerous. 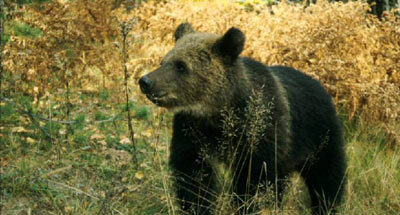 Large predators are common: most especially brown bear, lynx, and wolf. Black grouse birds are to be met in great diversity: they have a range from wood grouse, to black grouse, hazel grouse, and rype. Golden eagles and black storks are particular species included in the Red Data Book of the Russian Federation. The Zapovednilc has biosphere status.